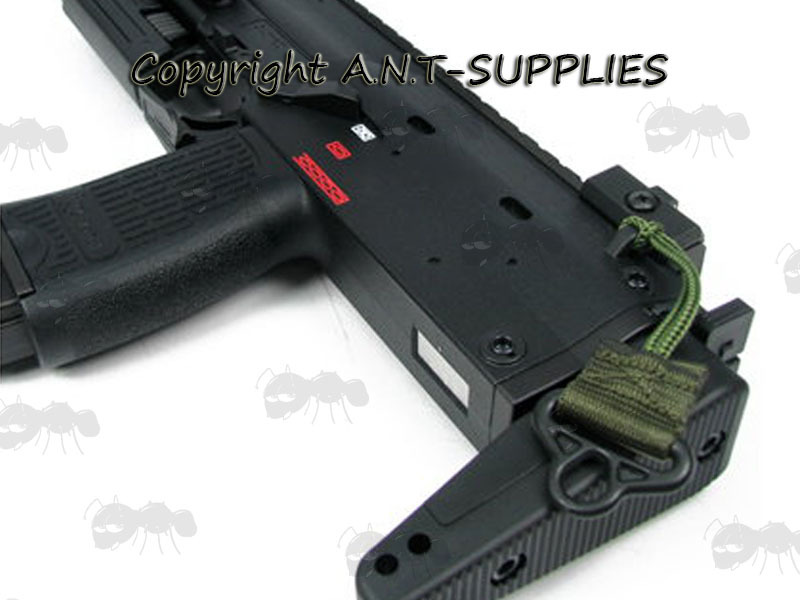 Also available ~ MP7 slings. 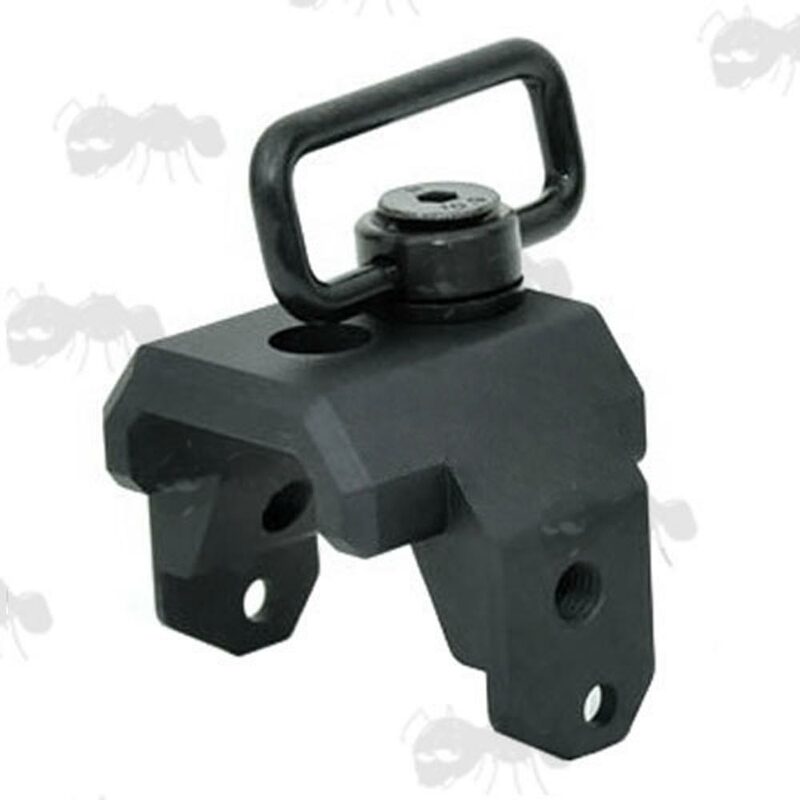 Next > MP7 sling swivel end. Fitted with a black 25mm wide strap and a cord. 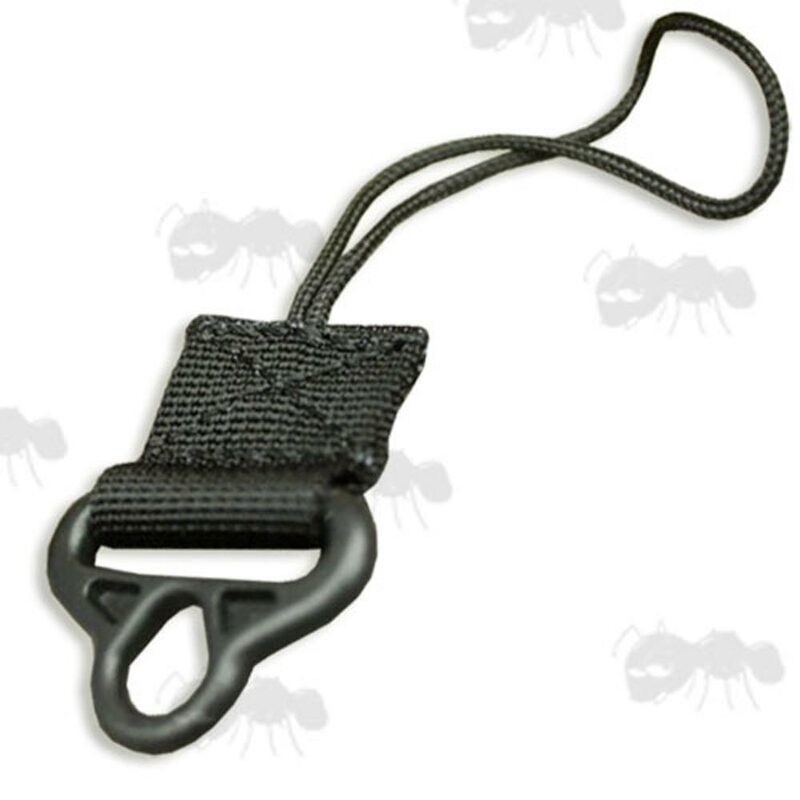 Can also be supplied with green strap and cord, by prior-request. Light alloy construction, so not to add too much weight. Total weight with the steel fittings ~ 45 grams. Fits on the top end of the buttstock. 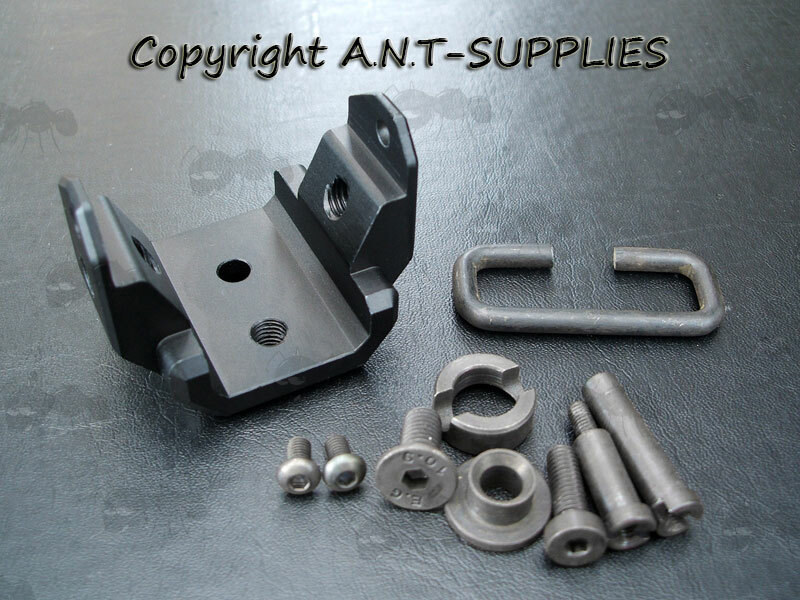 Compatible with Tokyo Marui MP7A1 etc.